Present state: All buildings demolished. The up & down slow line platforms still exist, although no longer rail served. 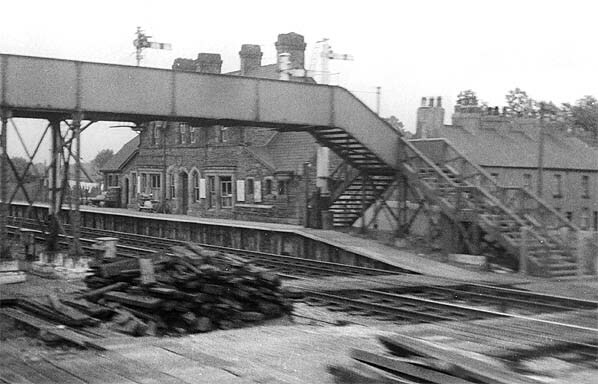 The station footbridge survives as a public footbridge over the railway. A substantial brick goods shed is in industrial use in the former goods yard on the south west side of the line. 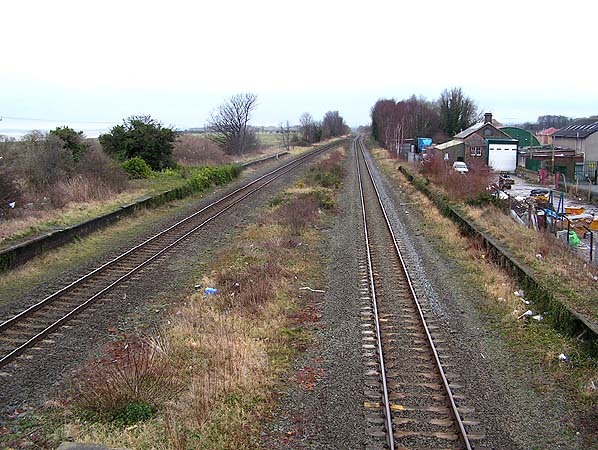 Notes: Bagillt station was situated on the Holyhead to Chester line which opened from Chester to Bangor on the 1st May 1848 and through to Holyhead on the 18th March 1850. It first appeared in timetables in January 1849; initially the station was known as Bagilt but eventually the correct name was adopted. The station was slightly resited by the LNWR in 1871. The line became very busy and in the later years of the 19th Century it was quadrupled through Bagillt. Widening of the track through the station left room for an island platform serving the fast lines although this was never built, the station only ever had two platforms that were situated on the slow lines. 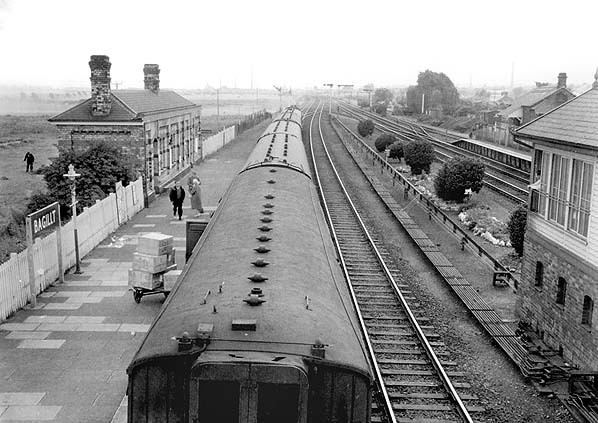 Bagillt Station was served by local stopping services running to various locations along the main line. 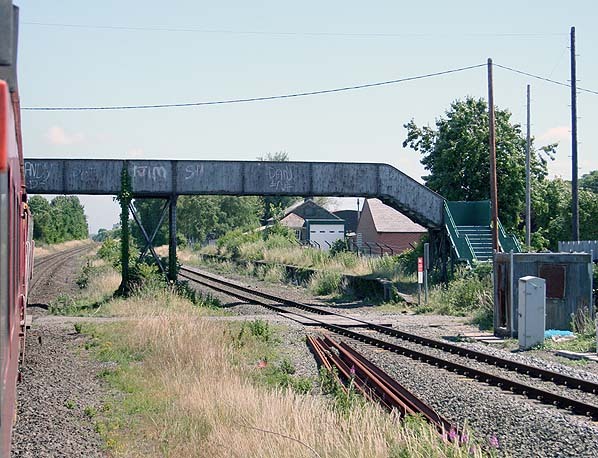 footbridge which now carries a public footpath across the line. 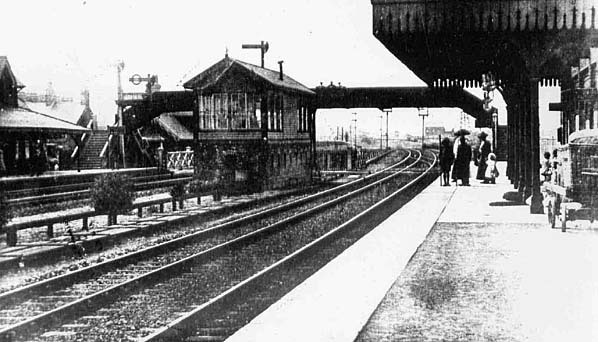 Bagillt station looking north west early 20th century. 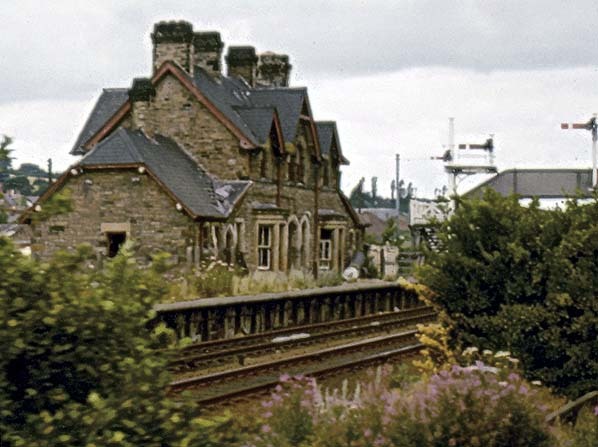 The main station building at Bagillt seen from a passing train in August 1973.